Today is the day that our ENTIRE world will change. I know, strong statement to lead off a post this early on a Tuesday morning. But the scary thing is that it's true. This past week has been a whirlwind to say the least. 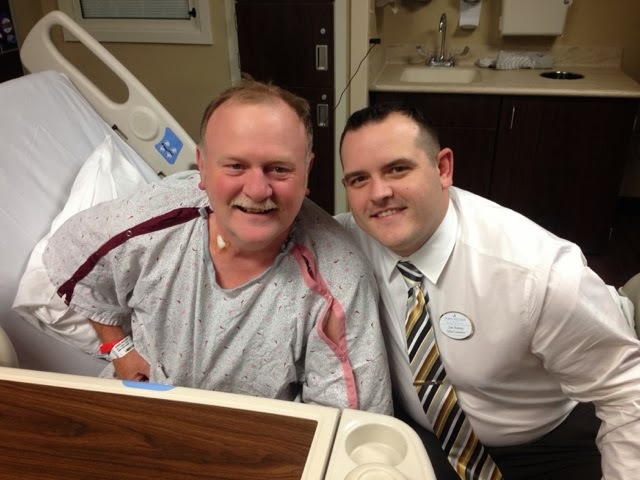 Last Monday was Sheldon's first appointment with the St. Luke's Cardiac Transplant Team. We all woke up Monday morning feeling anxious, excited & just plain scared shitless, all wrapped up into one emotion. All of us (Jon, Jon's Sister Beth, Myself and of course Kathy, my mother in law) took off work to be there. For moral support, but also to hear firsthand how this whole heart transplant thing will work. This appointment was supposed to be the first of what you would think would be a longgggg, drawn out process. 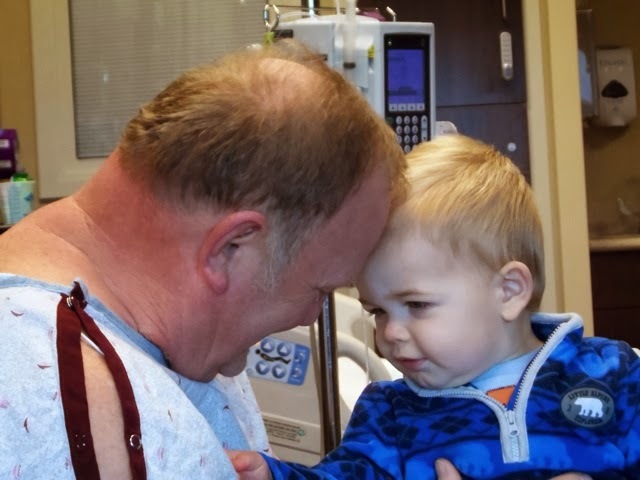 During the appointment we were told that Sheldon couldn't wait another week to begin his "transplant workup." It's an inpatient hospital stay in which every specialist you can think of has to sign off on Sheldon having this surgery. From the transplant workup they are able to determine if you qualify to be put on the list for a heart and more importantly at what level. 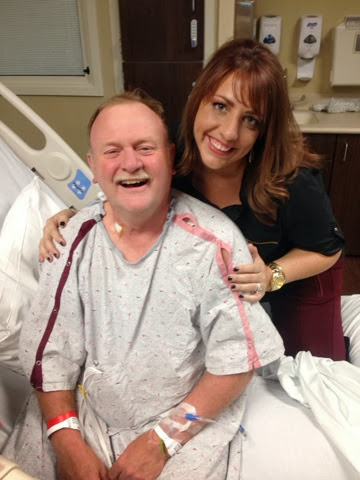 They admitted him to the hospital last Tuesday morning and was finally discharged yesterday. It's been grueling on the guy, but he hasn't complained ONCE. Now that's a champ right there! 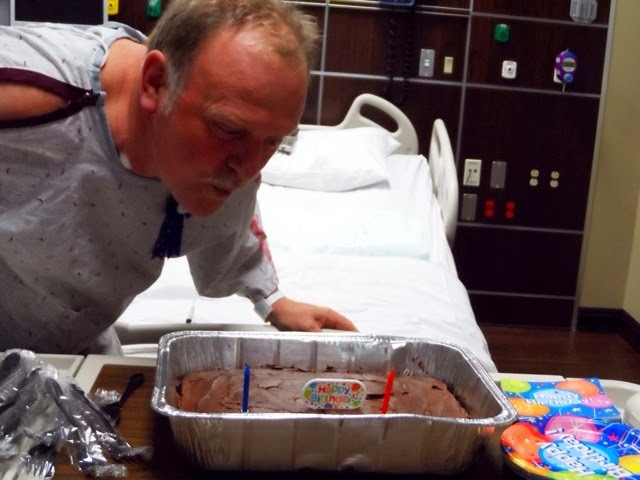 He even celebrated his 59th birthday on Sunday, in the hospital. 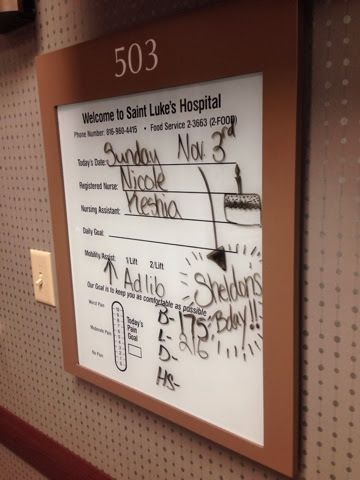 Even though we were in the hospital, this birthday was extremely special to all of us. 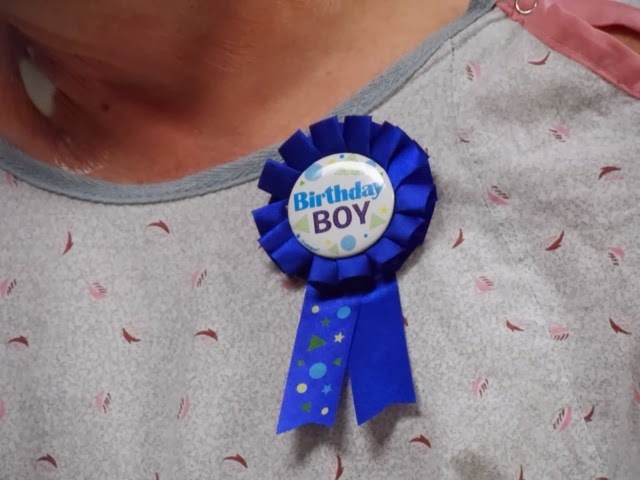 It was the first birthday in a LONG time in which we felt that we may actually get ALOT more of these with him. And that my friends, is pretty damn cool. 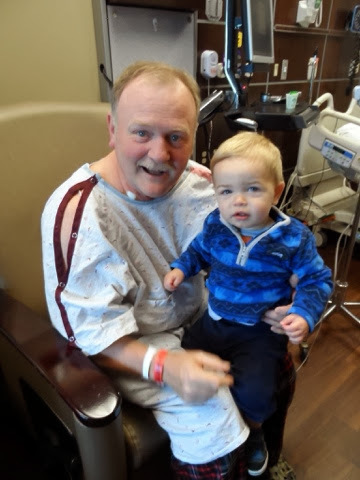 Typically the "transplant workup" only lasts 3 days or so, however because Sheldon's heart is so weak, he had to spend a few of those days in the ICU following his heart catheter on Wednesday. Which is supposed to make your heart beat faster therefore pushing your blood out to all of your organs. His heart is so weak that it's unable to do that on it's own any longer. Thank GOD for modern medicine, eh? 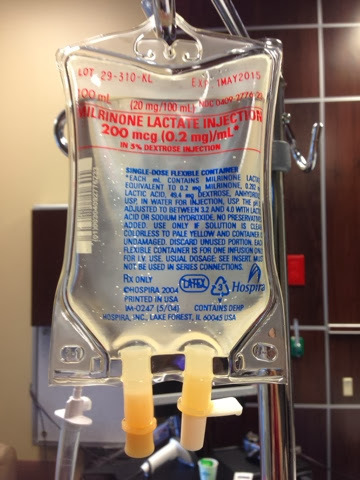 They inserted a permanent picc line in his upper arm in which he'll have to continue pumping this medicine to his heart (from home) while we wait. 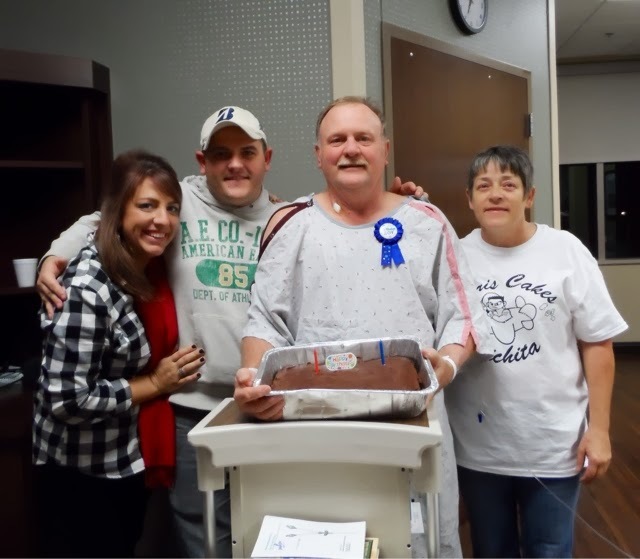 Right now, while you're reading this, the Transplant Team at St. Luke's holds Sheldon's life in their hands. They meet every Tuesday morning to decide if someone qualifies to be put on their very small list of less than 20 individuals. I can't imagine what Sheldon is feeling as he wakes up this morning because my palms are sweating just typing this post. But what scares the hell out of us more is the thought that he WON'T get another person's heart put into his chest cavity. That's what keeps all of us going. 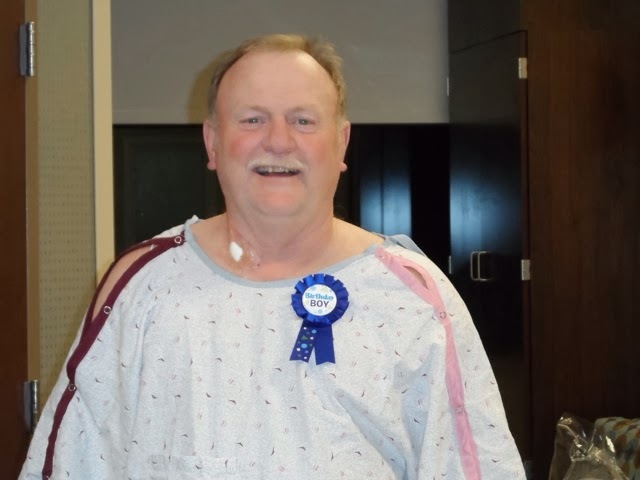 More importantly, that new heart will keep Sheldon going for many birthdays to come. Any prayers you throw our way today are appreciated more than you know. 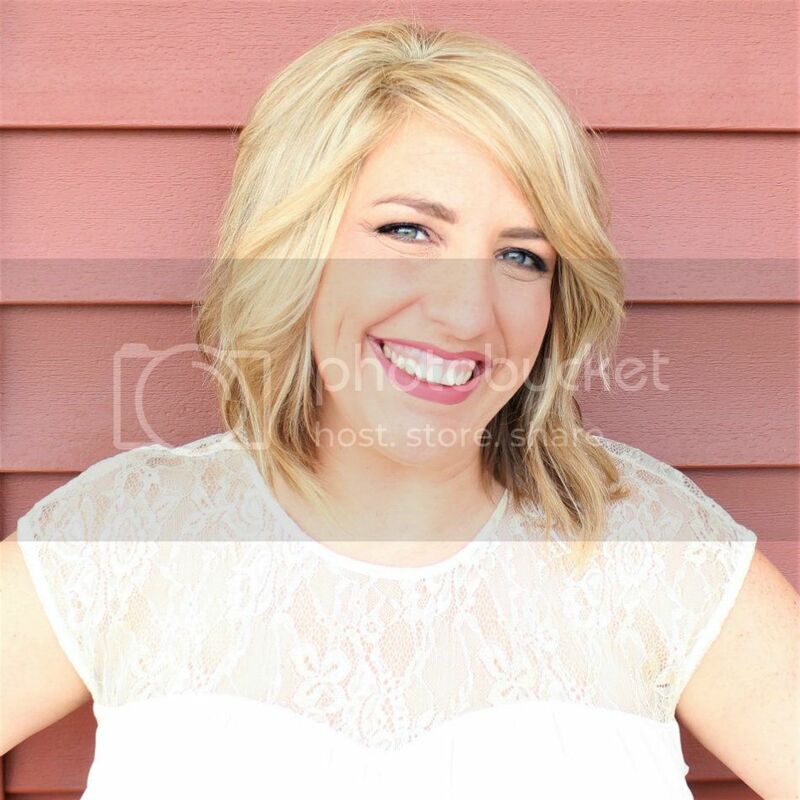 I can't wait to hopefully share some VERY GOOD news with you in the days to come. Thank you ALL for your support of our family & more importantly, Sheldon!! Praying for all of you sweet girl!!!! Keep us updated!!! I am praying and lifting Sheldon and the family up to God, thanking Him for this opportunity and the skilled doctors taking care of Sheldon.